Apple device users can expect to experience issues downloading apps and books for the time being, as some of Apple’s major platforms are currently out of commission. As of 1:30 p.m. 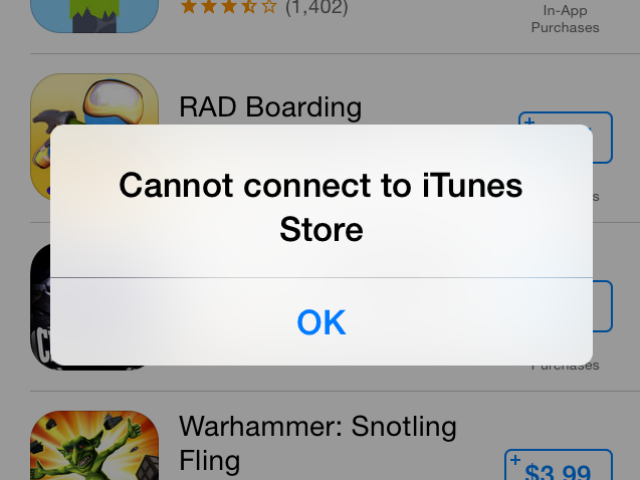 ET, the App Store, iTunes Store, iBooks Store and Mac App Store are offline for all users. The outages began just before 5 a.m. ET, and previously impacted iCloud Mail and iCloud account and sign in capabilities as well. The latter two services were restored before 9AM Eastern. Understandably, some Apple users aren’t taking the outage so well. Readers: How are you handling the outage?